The company said it will no longer run ads on fake news videos or offensive content. 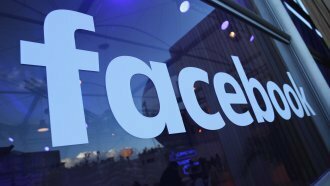 Facebook is working to keep advertisements off of fake news and offensive videos. The company released new guidelines Wednesday detailing the types of content it won't run ads on. Facebook started embedding ads directly in videos back in February. But some advertisers worried their content might appear on controversial or fake videos, which could damage their brands. It's a valid concern: A report in March noted YouTube embedded ads in content that promoted anti-Semitism and terrorism. Advertisers briefly fled YouTube after that, which might have cost the company hundreds of millions of dollars. Facebook is trying to avoid that scenario — the company has grappled with plenty of fake news and offensive content on its platform in the past. Facebook now says publishers will need a "sufficient" follower base in order to monetize their content with ads.